Ender Dragon is Minecraft's final boss, a serpentine collection of dark blocks that launches fireballs at the player. Minecraft speedrunners have long struggled with it, but this week speedrunners finally discovered how to bypass the Dragon altogether. It's already led to a world record. Part of what makes the fight against the Ender Dragon time consuming is a series of End Crystals that sit atop pillars and heal the Dragon when it flies near. However, players can also craft their own End Crystals and bring them into the final level to wreak havoc. Originally players were trying to place extra End Crystals in specific places to influence the Dragon's path during the fight and also deal some extra damage (they can be exploded like land mines). Recently, experimenting with this strategy yielded an even better discovery. Placing an End Crystal as soon as the player enters the Dragon's level causes it to glitch and never spawn while still yielding the portal to the end credits that marks the completion of a run. Placing Crystals after the Dragon has already been defeated summons a new Dragon. If this happens, the game checks to see if the end portal that spawns after the battle is already there, in which case it doesn't create one. However, timing things right can confuse the game. By placing the crystal before the battle starts, the player is able to trick the game into skipping the fight entirely. 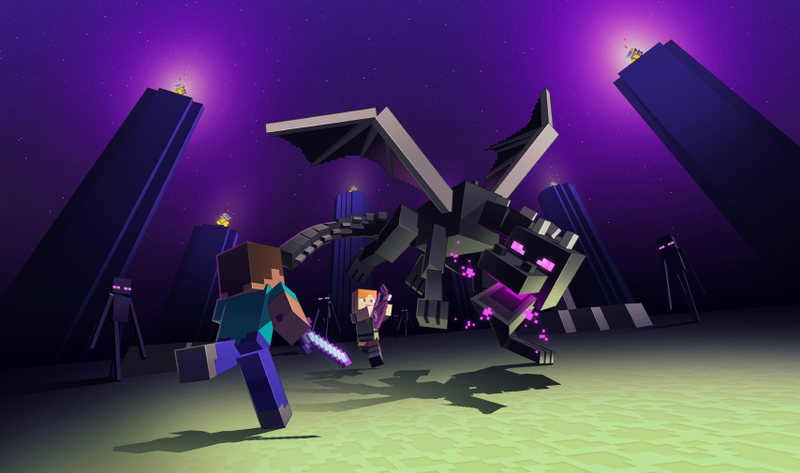 "Because we place the crystal before the Dragon fight is fully loaded, it fails to find evidence of another portal, and so it creates one," explained the MineCraft glitch hunter Matthew Bolan. A player by the name of Geosquare discovered the glitch by accident while researching a tool-assisted speedrun for the fight. His findings in turn helped one of the game's most prolific speedrunners, Illumina, to break the world record of 4:07:400, held by Joshgaming4 and which had previously stood for over two years, with a 3:12:600 run. "It was from mid 2015," Illumina said in an email. "It was a very daunting time to beat and that's why it stood for so long." Illumina thinks the run still has room for improvement. There's a lot of randomness in a Minecraft speedrun, and speedrunners try to find the ideal parameters for spawning a new world. In Minecraft these parameters are known as seeds. Players select a seed at the beginning of a run, and they determine what flavour of map will be generated by the game. 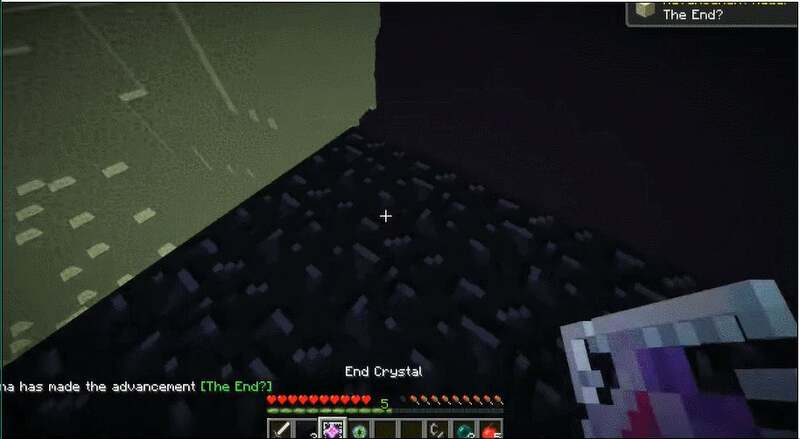 In Illumina's case, using the new Ender Dragon glitch meant finding a seed that would give him a world conducive to crafting the necessary End Crystal. In addition to discovering the glitch, Geosquare also helped find the best seed for executing it. "The seed was found by Geosquare by writing a program using variables that would make the seed optimal," Illumina said. "He ran the program for about 5 minutes and they spent a couple hours looking through the seeds that came up. There is probably a better seed than the current one as it only took a couple hours to find, but when there are 2^64 seeds, it is not easy to go through all of them." Illumina's world record was specifically in Minecraft's "seeded" category. There are other categories that prohibit both glitches and seed optimisation, but Illumina thinks that misses half the fun. "A benefit from [seeds] is that it keeps the category more interesting as you never know when a new seed would be found," he said. "Some runners said that we should just stick to one seed to make one route consistent but I disagree in doing that." "Every category of this game is too RNG and takes a lot of grinding to get a great run," said Illumina who's been running the game since 2011. "But it's always fun to see if you will get lucky in a run, kind of like gambling. It's definitely much different of a game to run from any other I've seen. Things like the Dragon skip and seed optimization programs help marry the chaos of the game to the practiced skill expert players want to bring to it." I hate how this speedrun is using item duplication glitches... it's basically crappy cheating... I don't think it should count. You do realize that these runs are in their OWN category, right? That you can search up glitchless runs that don't use novel methods that aren't intended. The whole point of the category is to see how fast it's possible to beat the game in the current state, using whatever means necessary. It's hardly cheating, lol. Don't like it? Don't concern yourself over a single category of speedruns.